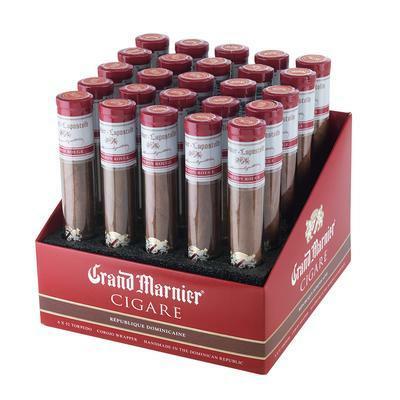 Rolled to a luxurious Torpedo shape Grand Marnier® cigars are handcrafted in the Dominican Republic and aromatically seasoned with Grand Marnier Cordon Rouge. Brimming with rich cognac and orange liqueur essences, they're perfect for pairing with an after-dinner cocktail. Order your box now.